A little joke amidst all the tension during last Monday's election didn't hurt. 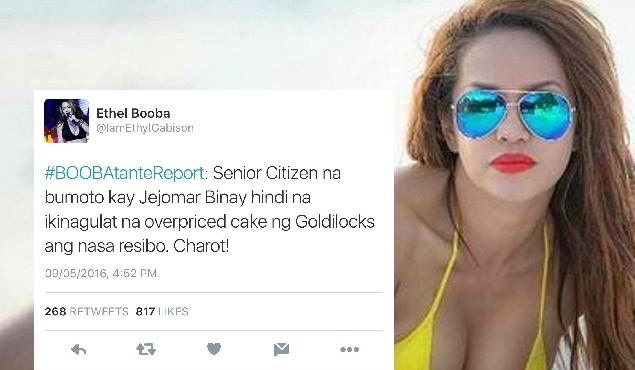 Resident Twitter comedienne Ethel Booba heed to the call of lighting up the mood as the Filipinos undergone one of the most emotional elections in history. Here are the 10 election-related tweets that are worth sharing to your friends, from a smart lady who is being called otherwise.